Clinical practice and experimental studies have shown that the states of elevated anxiety and depression are often accompanied by impairments to immunity. 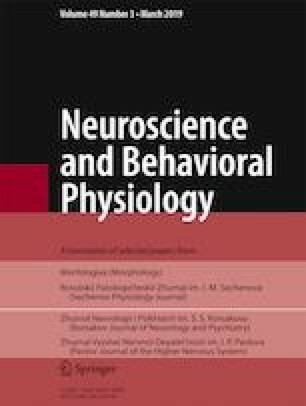 Investigations over many years have shown that chronic social stress induced by repeated experience of social defeats in daily intermale confrontations leads to the formation of mixed anxiety/depression disorder in mice, which is accompanied by the development of immunosuppression, apparent as a decrease in overall resistance, impairments to humoral and cellular immunity and to proliferation and apoptosis processes in immunocompetent organs, and intensification of oncogenic processes. Primary treatment using anxiolytics and antidepressants to correct psychoemotional status was found to be more effective in the complex correction of psychoneuroimmune impairments than attempts to restore immune measures with the aim of producing therapeutic influences on anxious-depressive states and immunity. A model is proposed for studies of the mechanisms of psychogenic immunodeficiency induced by chronic emotional social stress. Translated from Zhurnal Vysshei Nervnoi Deyatel’nosti imeni I. P. Pavlova, Vol. 67, No. 6, pp. 671–692, November–December, 2017.